President Muhammadu Buhari did the unthinkable by honouring the martyr of democracy, the late MKO Abiola, with the most prestigious national honour (GCFR), the Aare Ona Kakanfo of Yoruba Land, Gani Adams, has said. Adams made the assertion at the 25th anniversary of June 12 1993, Presidential Election organised by the Oodua People’s Congress (OPC) in Lagos State. The News Agency of Nigeria (NAN) reports that OPC organised the event in collaboration with the Nigeria Union of Journalists (NUJ), Lagos State Council. The anniversary had the theme: “Nigerian Politics and Democratic Process: MKO Abiola and the June 12, 1993, Crisis and Beyond”. Adams, also OPC National Coordinator, said: “Where we least expected the truth about June 12 to come from, there is where it came. “I salute you all for persevering in the last 25 years. “Whether the Federal Government’s decision is more political than legal, as argued by some people, for me, it is crystal clear that the journey to make June 12 our Democracy Day started years back. “I feel relieved to witness this day being recognised as our Democracy Day. Today, we have defeated the evil voices that killed the dream of the late MKO Abiola. “I will like to express my appreciation to President Buhari for taking the bold initiative of honouring the late Abiola and the late Gani Fewehinmi,’’ he said. Adams said that posterity would be kind to Buhari for putting Nigeria’s democratic history in the right perspective. According to him, Abiola, as the 14th Aare Ona Kakanfo of Yoruba Land, was committed to the cause of the masses and good governance. 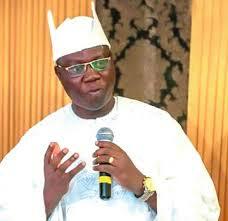 He expressed delight that the reward for Abiola‘s struggle had come. Adams, the 15th Aare Ona Kakanfo, said: “The way we clamoured and struggled to have this day as our Democracy Day, we also need to make the needed sacrifices, struggles and make a case for restructuring. In his remarks, Sen. Shehu Sani, the Chairman of the occasion, said that Buhari wrote his name in gold by honouring Abiola, but advised that the honour should not be politicised. “With the annulment of June 12, we (Nigerians) missed an opportunity for unity, progress and prosperity as a nation,” Sani said.